The staff of Sir George Grey Special Collections and the Central Auckland Research Centre at the Central Library were deeply saddened to hear of the death of Ann Baxter on Tuesday 28 April. 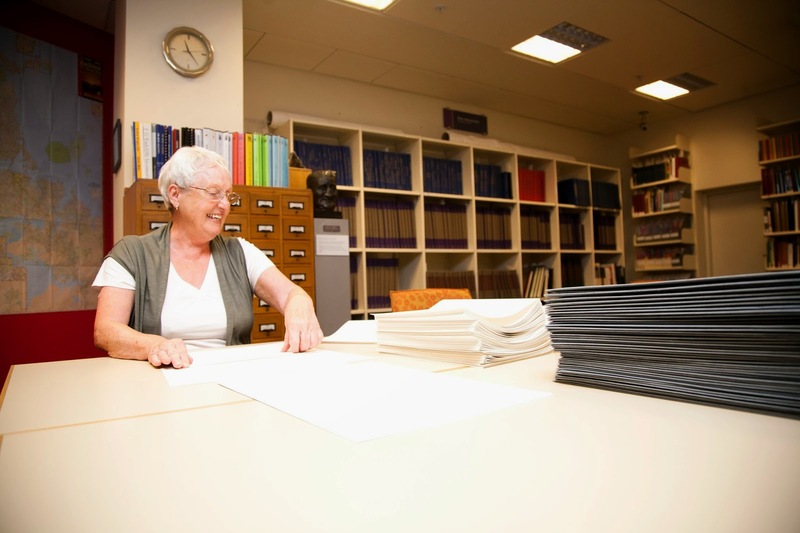 Ann had been a volunteer for over 15 years, at first in the Research Centre and more recently in Special Collections. For the last 18 months she had been working on sorting and foldering unsorted material from the Auckland Provincial Council records. This was done with enthusiasm and attention to detail. Her comments on items she came across were always interesting and frequently made with characteristic Yorkshire humour. The Wire, Auckland Council, 38-244556. We are indebted to Ann, not only for this work but for her wider appreciation of the collections and for her advocacy for them. She gave some of her personal papers from her writing, directing and acting career to the collections as well as encouraging theatre companies and friends to consider donating material. To find some of the theatre programmes and newsletters donated by Ann go to our Ephemera Index and perform a keyword search for “Ann Baxter”. It was thanks to an introduction from Ann that Muriel Clark donated her husband’s collection of 7,000 colour slides to the Library. The selection of these used in the exhibition The big OE has been immensely popular. We will miss Ann’s energy and cheerful sense of humour.